The objective of Maths9.com is to make mathematics (maths) practice fun! Maths9.com allows students to motivate to practice maths more at home to understand the concepts clearly through interactive practice questions. Maths9.com allows parents to monitor the progress of their children and motivate them through interactive games and practice questions. The product is built on pain points of students using maths at school and home. Most students find difficult understanding the concepts at first go. So teachers insist students to practice more problems. 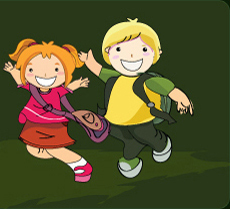 We help students to practice maths in fun loving manner and make them mastered in each skill. The goal of Maths9.com is to make the Web's most comprehensive maths site, offers a dynamic and enjoyable environment for children to practice maths. The product will be available for global students with the product rate to allow poorest student to buy with a smile. We create transformative product of maths with an impact that makes students instant classroom essentials. Students who use Maths9.com will succeed like never before. The product allow students to practice maths at FREE with few limitation compared to the paid users. Parents and Teachers can monitor Childs understanding and learning ability through various tools available on portal. Maths9.com is mathematics practice application to master in each skill through interactive questions with fun! Targeting global K-12 children.